I’ve been looking at the role of mise-en-scène in a range of films. 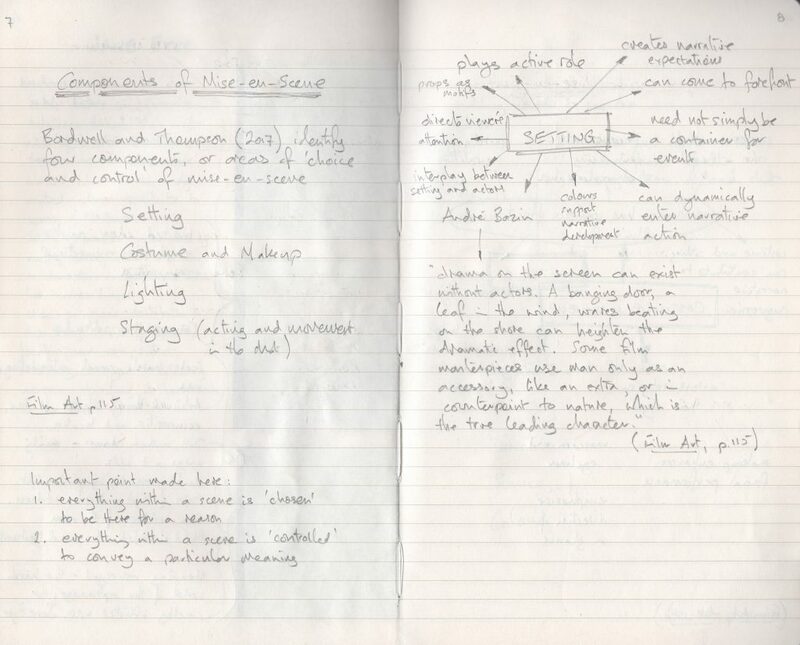 The course notes suggest that ‘every item on screen has been considered and placed, every area of space has been adjusted to give the best composition’ (OCA, 2017:57). Bordwell and Thompson (2017:115) identify Setting, Costume, Lighting and Staging as the four components, or areas of ‘choice and control’ in mise-en-scène. I think the key point being made here is that everything within a scene is ‘chosen’ to be there for a reason, and that everything that is chosen to be in a scene is ‘controlled’ in such a way to help convey a particular meaning within the film. 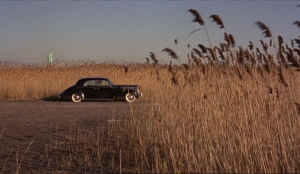 The placement of objects within the frame adds significance to the meaning of this scene from The Godfather. Together these objects help set the scene. The car in a field of wheat creates a scene that feels remote. The Statue of Liberty, tiny in the background, indicates that we are in close proximity to New York City. The placement of these three elements also create a sense of depth within the frame. Particularly the Statue of Liberty, which is set on the horizon within an area of empty space, which helps emphasise its small, but significant presence in the background. The minimalistic image in the long take in this scene from Hunger helps focus the viewer’s attention on the dialogue between two characters. Again, the four components of mise-en-scène help set the scene, in which two characters, Bobby Sands and Father Dominic Moran, discuss the morality of a hunger strike. One scene that I looked at in some detail was the ‘Jane the liar’ scene from Jane Eyre (2011), in which Jane is taught that lying is a sin. It’s a harsh, cruel and intimidating scene. On accidentally dropping her writing slate while another pupil was being beaten, she is branded a liar in front of the whole school by the principal Mr Brocklehurst and made to stand on a chair all day. What I found particularly interesting about this film adaptation of Charlotte Bronte’s novel is the way in which the mise-en-scène emphasises the darker side of the story. The setting, costume, lighting and staging combine in such a way to portray the harsh surroundings of Lowood School for Girls in a way that feels authentic and realistic. The action within this scene takes place in a dark, featureless room lit by a few shafts of daylight piercing through windows high up in the wall. The adults sit on either side of a raised platform facing the girls, who are seated on wooden chairs arranged in rows on a stone-slabbed floor. Mr Brocklehurst, the only male in the scene, entering through a door at the back of the platform, stands in the centre of the platform, towering above the girls. There are very few colours in the scene. Those that are evident are generally pale and muted. The setting of this scene reinforces the impression that this is a very grim, strict, regimented school. Many of the shots are symmetrically composed. This adds to the atmosphere of strict regimentation within the school. The costume matches the mood. All the girls are dressed in the same grey, featureless dresses and white caps. Their costume de-emphasises their figures and rather than helping to pick them out against the neutral background, it helps to blend them into it. They are almost like ghostly shadows, sitting motionless in or moving through the room. The four teachers on the left of the platform are also wearing grey dresses. By contrast, the three young women sitting on the right of the platform are wearing colourful dresses and bonnets, indicating their higher social status than the staff and pupils of the school. Only they are allowed to express any emotion. Much of the overall mood is generated by the lighting within the scene. Bordwell and Thompson (2017:124) suggest that lighting is more than just illumination enabling the viewer to see the action. They point out that the lighter and darker areas within the frame help create the composition of each shot. This is evident throughout the scene, through the partially lit room with patches of daylight falling on the wall and floor and the half-lit faces of the teachers, girls, Brocklehurst and Jane Eyre. What I liked about this scene was the way in which the mise-en-scène helped heighten the dramatic action within the film and the way in which it helped add tension to the plight of Jane Eyre at this time in her life. 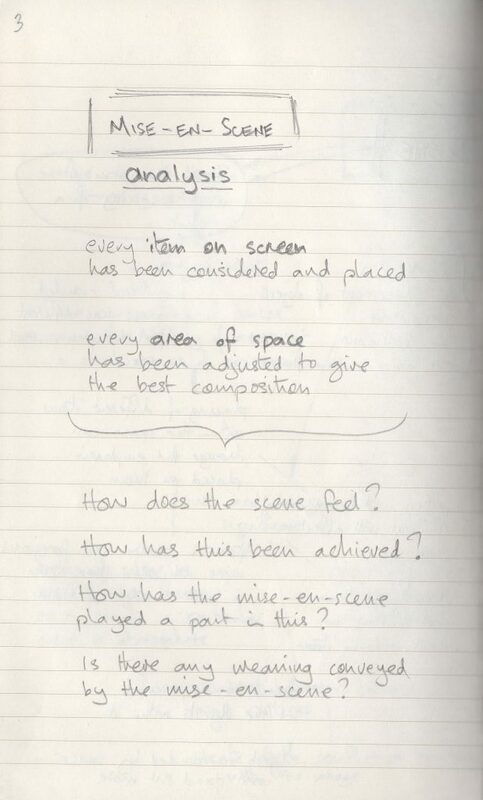 What this exercise has shown me is that mise-en-scène plays a fundamental role in the storytelling precess of a film. 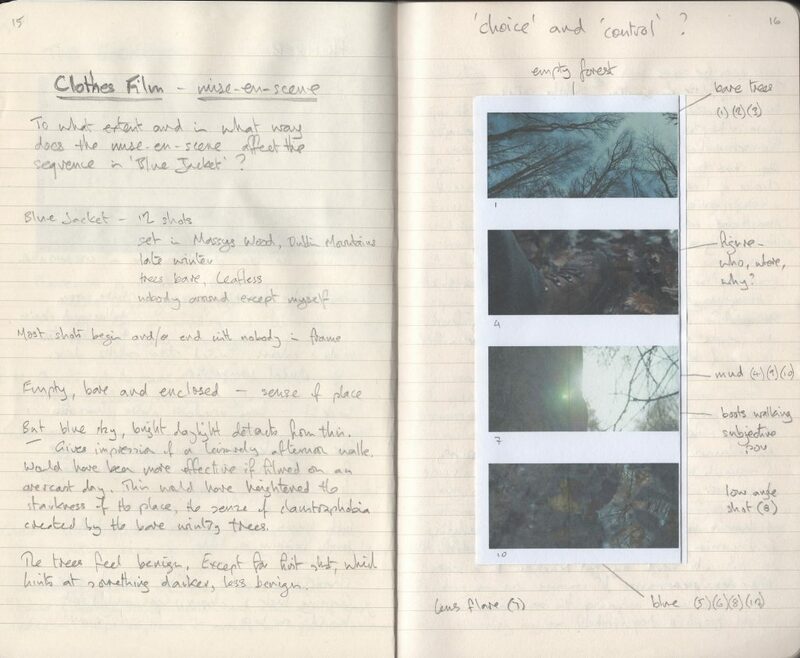 That the colours and design of each sequence play a significant role in the atmosphere and meaning of a moving image. Bordwell, D., & Thompson, K. (2017) Film Art: An Introduction. New York: McGraw Hill. 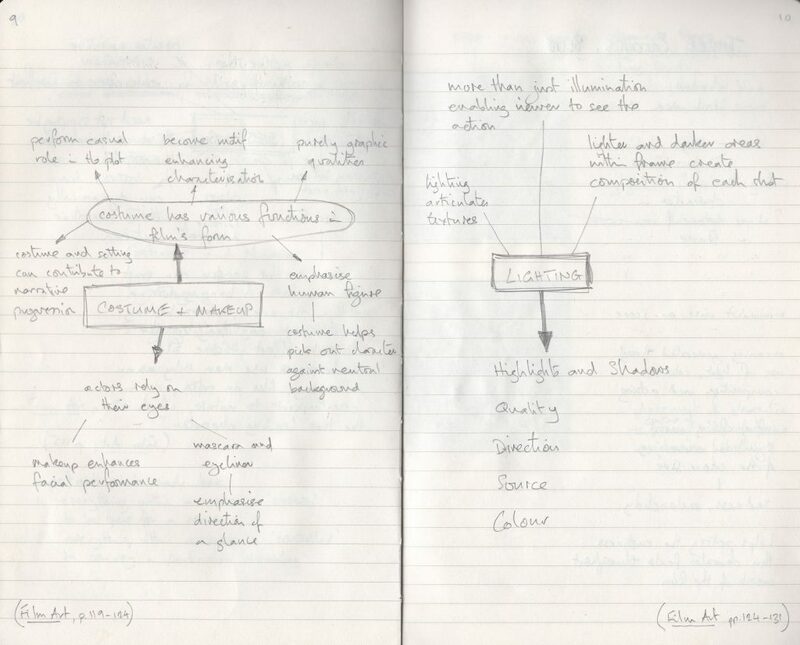 The design aspects of a film – everything that appears within the frame and its arrangement. 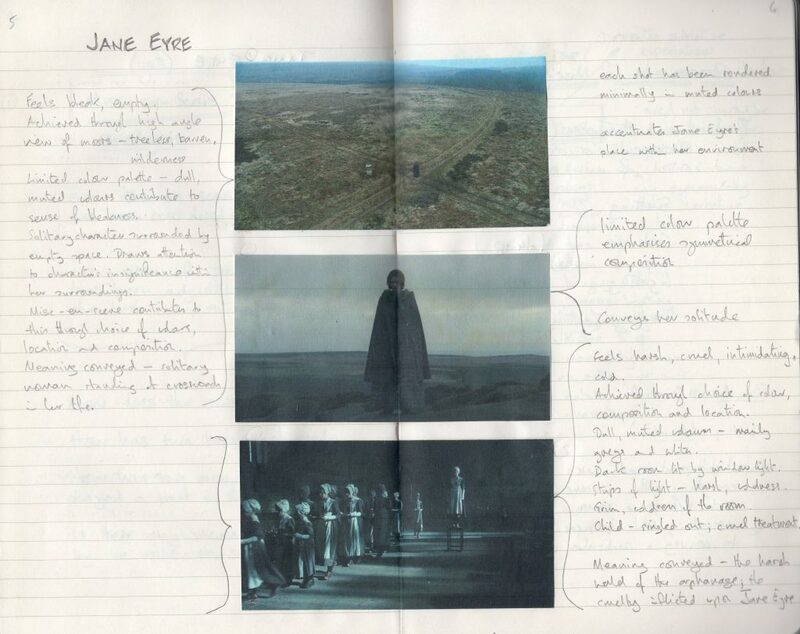 As an example I looked at the mise-en-scène in Jane Eyre (2011). 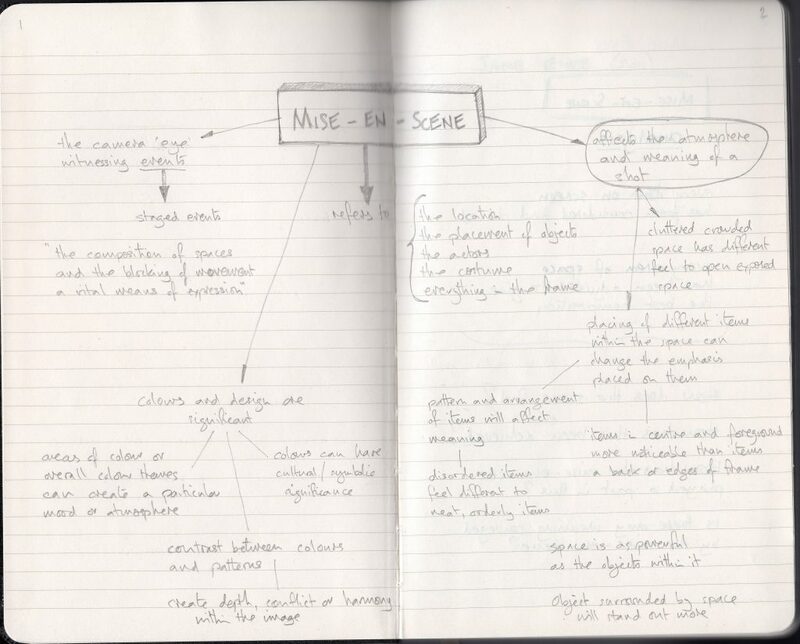 Mise-en-scène plays a fundamental role in the storytelling precess of a film. 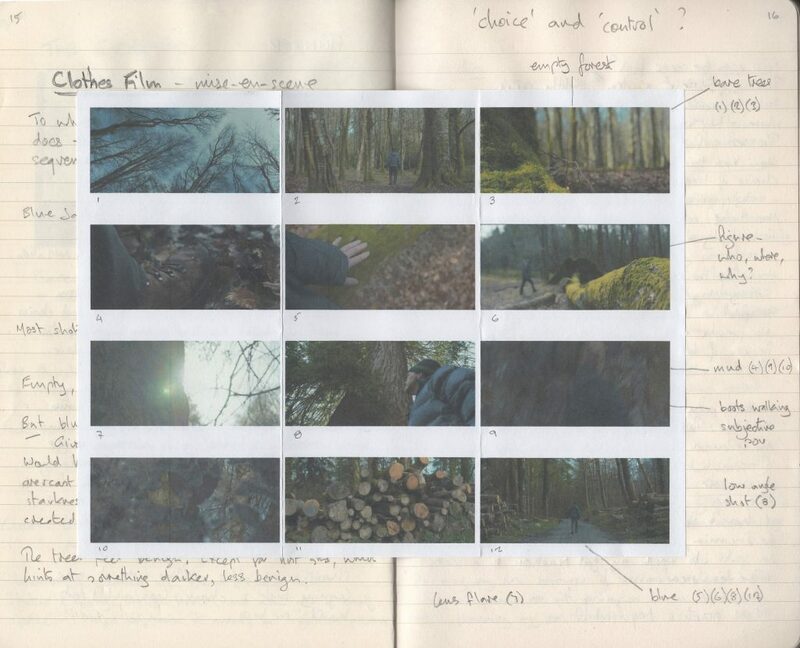 The colours and design of each sequence play a significant role in the atmosphere and meaning of a moving image. Everything within a scene is ‘chosen’ to be there for a reason, and everything that is chosen to be in a scene is ‘controlled’ in such a way to help convey a particular meaning within the film.